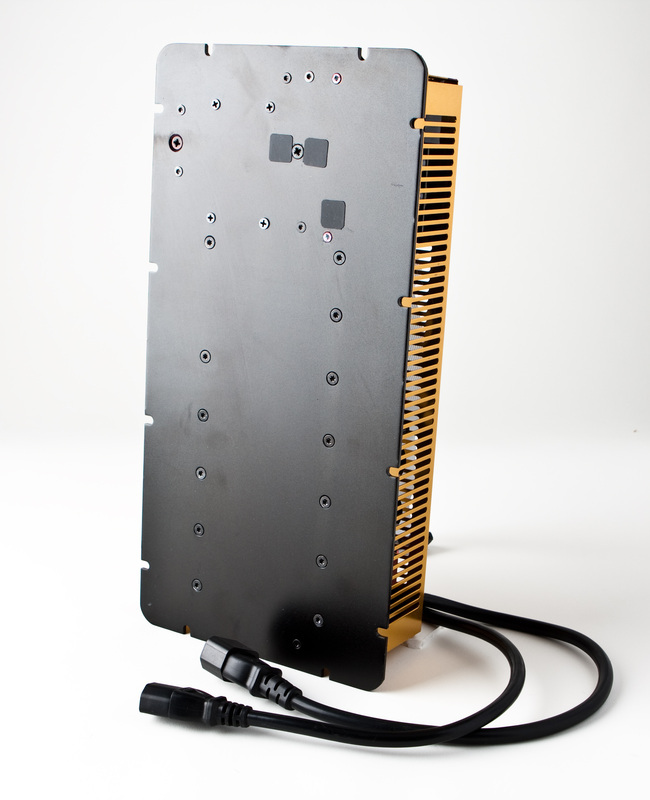 For high ambient temperature environments, a temperature controlled fan may be fitted to the back of the amplifier. DSP gain structure can be adjusted for lowest noise for Studio monitor and home theater applications. Standard gain structure allows more headroom for operation well into the range of the limiters for maximum loudness. Where space in the cabinet is restricted, some models can be built in two interconnected chassis. 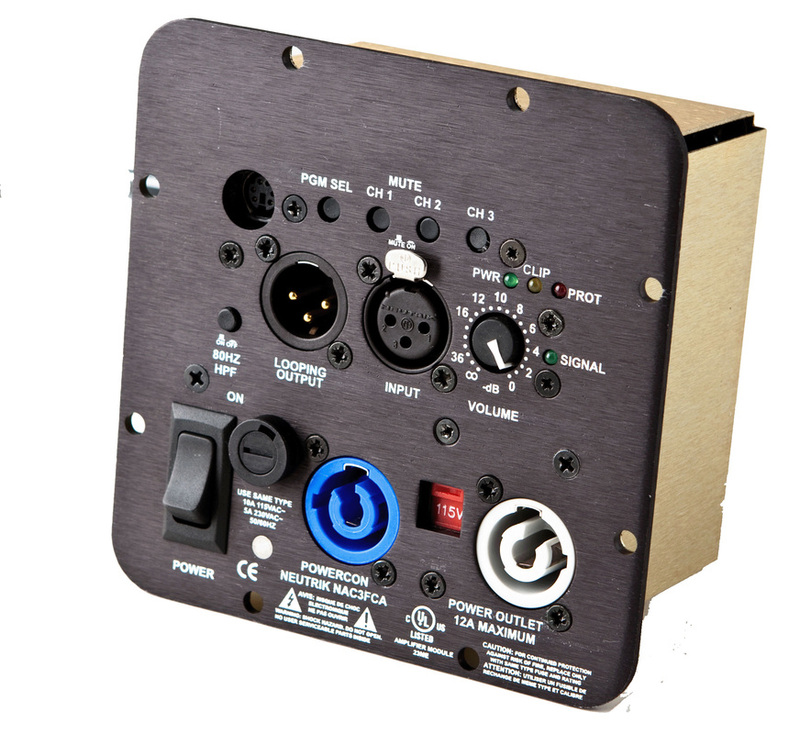 Cobramote DSP is a powerful optional upgrade to the standard DSP in SpeakerPower products. In addition to a more powerful DSP, it adds Cobranet Digital Audio Network capability and Remote Control and Monitoring using standard Ethernet hardware. A locking Ethercon gives a solid input connection. 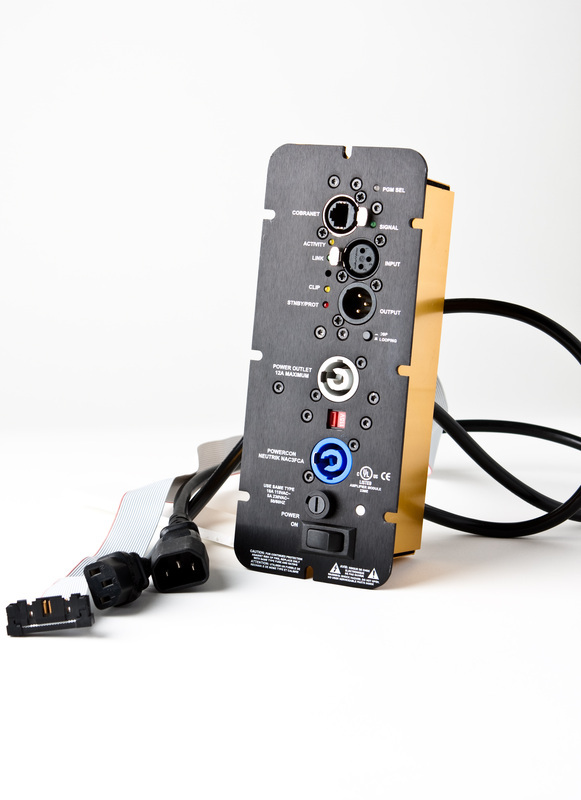 An XLR output is switchable between looping the XLR input or bringing out a DSP channel. 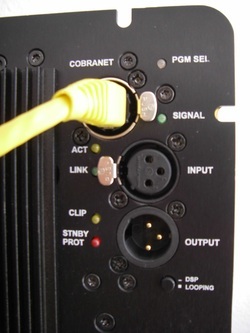 Analog XLR input can be set to override the Cobranet digital input. 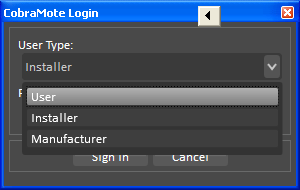 A user application is supplied that runs on Windows XP, Vista, or Win 7. 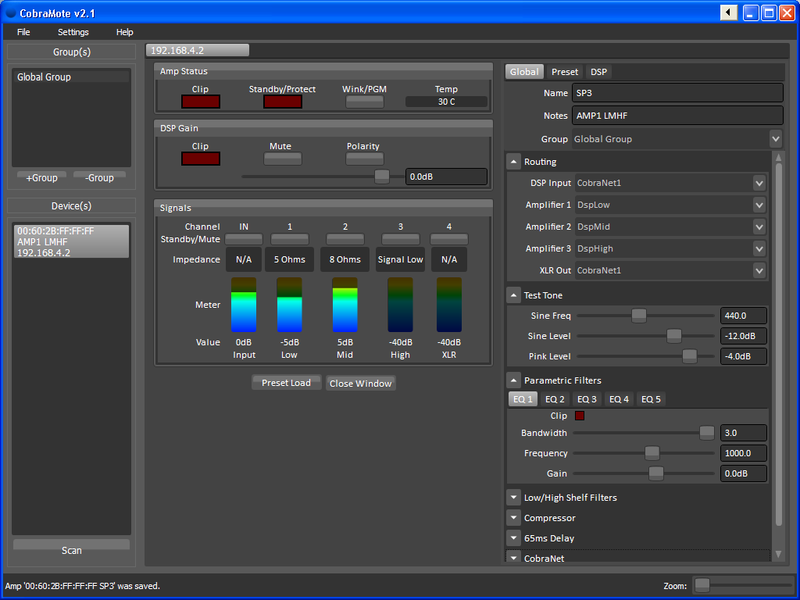 Load and save presets of volume, routing, equalization etc. Parametric and shelving filters available to correct room boundary conditions.